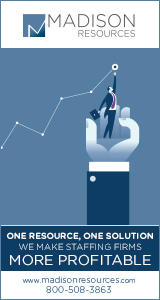 Welcome to the debut issue of Staffing Today—a new daily e-newsletter that delivers fresh business, legal, and economic news for busy staffing and recruiting professionals. 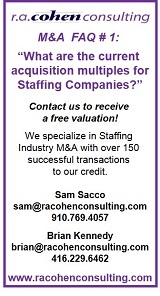 Staffing Today is now your one-stop resource for staffing industry information, replacing ASA’s weekly e-newsletters. Be sure to add asa@infoinc.com to your e-mail safe list. Or click through to this Whitelist page—also available at the bottom of this issue and all future issues—to ensure you receive Staffing Today every morning of every business day. Enjoy your first issue—and share your thoughts on what you like and what you’d like to see. Send your feedback to asa@americanstaffing.net.